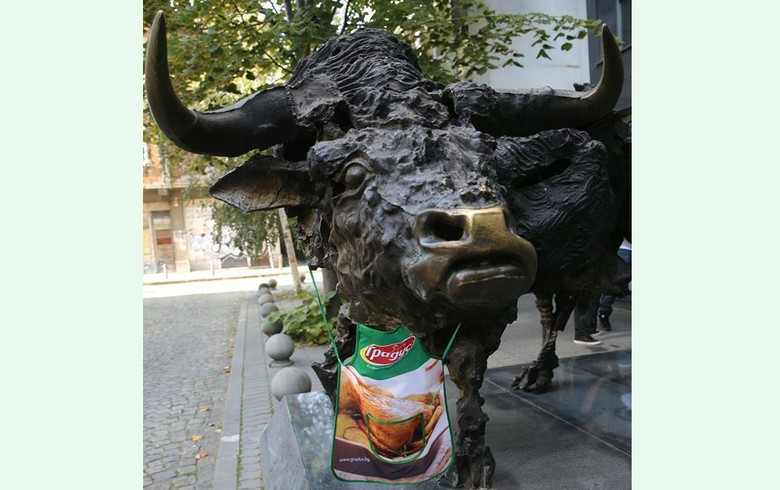 SOFIA (Bulgaria), March 18 (SeeNews) - The Bulgarian Stock Exchange blue-chip SOFIX index continued its winning streak, as three new companies entered its composition on Monday. The SOFIX rose 0.38% to 586.02 points on Monday, notching up four consecutive winning sessions. Diversified groups Industrial Holding Bulgaria [BUL:4ID] and Doverie United Holding [BUL:5DOV], as well as poultry producer Gradus [BUL:GR6] became SOFIX members on Monday, replacing battery maker Monbat [BUL:5MB], resort operator Albena [BUL:6AB] and construction company Trace Group Hold [BUL:T57]. Industrial Holding Bulgaria and Gradus were two of the only four SOFIX members which ended Monday in green, adding 2.97% and 1.12%, respectively. Doverie United Holding dropped 0.36% to 2.73 levs. Minutes before the Sofia bourse end bell, Doverie United Holding announced that that it has won, through its wholly-owned subsidiary Doverie-Invest, a public tender for the acquisition of 63.8865% interest in Moldova's Moldindconbank (MICB). The starting price of the tender was 76.6 million levs. The biggest gainer among blue chips was diversified group Eurohold Bulgaria [BUL:4EH], which saw a 3.55% increase in its share price. Eurohold Bulgaria, together with the three SOFIX dropouts - Monbat, Albena and Trace Group Hold, were the biggest gainers among members of the wider BGBX40 index, which tracks the 40 most traded and capitalised shares on the Sofia bourse. Trace Group Hold advanced 4.90%, Albena added 4.23%, while Monbat gained 2.99%. The BGBX40, which saw six new members as of Monday, closed 0.31% higher at 116.14 points. The BGTR30, in which companies with a free float of at least 10% have equal weight, edged up 0.04% to 503.11 points, backed by the same four companies as the BGBX40. Total trading turnover on the BSE regulated market fell to 1.2 million levs ($696,000/614,000 euro) on Monday from 2.1 million levs on Friday.